More specifically, our goal is to serve as a positive social gathering force to support JETs, other expats, and Japanese residents of Miyazaki to build a community within our prefecture. We do this by organizing events as well as by creating Facebook and website content about events, Japanese culture, and tourism in Miyazaki. Fancy words, no? But what does it really mean? What is MAJET’s job? Essentially, to make people feel welcome in Miyazaki. Or, as I like to think, to be a family. In June of 2013, I learned that I’d be coming to Kushima, Miyazaki. My first reaction to which was, understandably, “Where in the heck is that?” (Seriously, that was the title of my long-abandoned blog post.) I began to do some research about Kushima and Miyazaki, and honestly I didn’t find much. Not in English, anyways. About the only useful thing I found was that if I wanted to visit fellow Chicago JETs in the prefecture, I’d definitely have to get a car. Once I received my welcome packet and got information about the Miyazaki JETs Facebook page, I started to feel a bit more comfortable about it all. My predecessor was not very active on social media or email, so it was the MAJET group which helped me most in preparing for the big move. Everyone in the group was incredibly kind and helpful. It really made me feel welcome before I even got here. Upon arriving, I learned that I was the only JET ALT in my town. There was a CIR, but he was not very sociable. I did meet a few ALTs in the neighboring town Shibushi (Kagoshima), and I had my Block members, but even though Kushima and Nichinan are in the same Block, in actuality we’re about 45 minutes away from each other. For various reasons, the first few months of my stay here I couldn’t get around much, and none of my Block members had cars. So, my first close friends were the people I met and talked to online and later at MAJET events. Having that resource kept me from feeling alone. MAJET meant a lot to me in my first year. It helped me get out and try new things that I might otherwise have been too scared, nervous, shy, or lacked confidence to do or set up on my own. I tried many things for the first time, like karaoke, camping on the beach (I’m from Chicago–I’d only seen ocean a few times in my life! ), ice skating, and mountain hiking. Through the events, I made many lifelong friends that I otherwise may not have ever gotten close to. So, when my Block Leader Jamie suggested to me that I volunteer for MAJET towards the end of my first year, I did so. I was still nervous to put myself out there; I’d never been in any sort of role like MAJET before. But since MAJET had done so much for me in my first year, I wanted to help others like me as well, and I had some ideas to extend that help even further. Others of my year had some similar ideas. So, in my second year, I joined MAJET with six fellow 2013 JETs, and together we did our best to meet our goal of making everyone feel welcome. Part of feeling welcome is feeling comfortable in your new environment. Since it was my first time volunteering in any capacity, I mainly worked with my new friends Larissa and Julian to solve the problem we all had first encountered upon learning our placements: lack of information. When we were researching to come here, the MAJET website was literally five pages and didn’t really say much more than any Wikipedia article. Together, the three of us expanded and redesigned the website so that it would be easier for future Miyazaki JETs to learn about their new home, and for current JETs to explore beyond their Block areas. It was and is by no means perfect; we were all amateurs then, and while I’ve had several years of experience with it now, I still don’t know what I’m doing sometimes. And there is still a lot that could be done, as information is ever-changing. But we worked hard, and that is why Miyazaki JETs now have this (albeit incomplete) database of information that we 2013 and earlier JETs didn’t have. I also started the MAJET Blog. Initially, my main role on MAJET was just “Historian.” I was the one taking pictures and chronicling all the events. Eventually that grew into “Communications.” Larissa and Julian set up our automated mailing list so people could subscribe and unsubscribe at will, and together we sent out the communications for events. 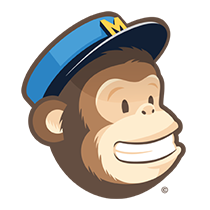 I enjoyed learning to use a new online platform (MailChimp) that could potentially be useful for me later in life, and started developing my skills in Google Drive. I wouldn’t consider myself a master by any means; I still have to look things up often. But it’s still more than I knew before. In addition to the website, the entire MAJET Committee strove to continue the monthly events schedule set forth by our predecessors. All of us were newcomers to the task, and we made lots of mistakes and learned many lessons, but somehow we were able to get the job done. That first year, we mostly copied the same events as our predecessors because that’s all we knew and that’s all we had guides for. The events mostly went well, but we did struggle a lot that year. When it came around time to recruit a new MAJET Committee, I was eager for another go at it. There were things I had not yet accomplished in my first year, and I wanted to try my hand at some additional roles and tasks as well. Each year I stayed on the Committee brought something new and different to the table. We started new events, like hosting our own Undokai, going kayaking in Gokase, and hosting a Murder Mystery. We changed up some of the regular events by finding new locations and new ways to celebrate. Each year, I made new friends not only on the Committee, but also at the events; people I otherwise may not have ever met if we didn’t have a common factor to bring us together. What Has MAJET Meant to Me? Through MAJET I have gained so many things. It hasn’t been just about making friends and staving off loneliness. It opened my eyes to new opportunities and new ways of thinking. I have learned to organize groups and events, to work with venues and city officials, to use various internet platforms and write a variety of content. But more importantly than all of that, I had a chance to be part of something larger than myself, to feel like I was making a difference in the lives of others. MAJET gave me what my job as an ALT was often unable to give. As a result of all that, I’ve developed a confidence that I never had before coming here. I’ve gone from “how can that girl possibly become a teacher, she can’t even order her own food at a restaurant,” to not only a teacher whose students and coworkers love her (for some bizarre, still unknown reason), but also leader of a prefecture-wide organization. I’ve acquired so many things that I can take with me into my future, no matter what direction I plan to take it in. Now, I’m not perfect. I make plenty of mistakes and spend an inordinate amount of time criticizing myself over them. I didn’t even get this post up until the middle of May when it really should have been out by the beginning of April… But, now I have the confidence to face those mistakes, solve the problems, and make the situation into something better. Without MAJET, I would not be the person I am today, which is the version of me I’m most proud to be. What is the point of this long, Long story? Well, simply put, it’s time for a new MAJET Committee to take the reins! I and most of my cohorts will be leaving Japan this summer and, whether we want to or not, we can’t continue our roles. We need some new blood to keep things going! You see, this time last year when we began recruiting, we didn’t get a very good response at first. Perhaps most people were content to sit back and let others do the work. Totally understandable; MAJET’s a tough job considering we don’t get paid. Or maybe they felt like it wasn’t that important. Or maybe they weren’t confident in their own abilities. I mean, I sure as heck wasn’t when I started out. But whatever the reason, recruiting was slow. So, even though I had planned to step back and just enjoy my last year–I wanted to be in the pictures, not the one taking them, as it were–I decided to stay on and help out. Eventually we got a decent-sized team together, but for a while it seemed like there would only be a few of us, and we were pretty worried. Then, when talks about recruiting new members began earlier this year, there also wasn’t a lot of confidence that anyone would step up to the task. To be honest, the MAJET Committee can get by with only a few members. However, it means either a lot of work for a few people, or making sacrifices on the things we can offer. Even with the group we had this year, for various reasons a lot of times things like website or event calendar updates would be left by the wayside in favor of making sure events went smoothly. And honestly, that made us unreliable. But MAJET is something that Miyazaki JETs should be able to rely on. That’s the whole point of our existence. You should be able to rely on your family, right? So yes, I could have just said “Hey guys! Join MAJET!” But first I wanted to illustrate the importance of having such a group. It’s too easy to take things for granted in this world, and I thought that by giving an inside look at how MAJET has effected me personally, maybe others might realize more of what MAJET does, how far we’ve come in the past few years, and how much farther we can still go. Perhaps, they might even be inspired to carry the torch. My wish is that the future MAJET won’t have to sacrifice any of the things we’ve striven to create over the past four years. My wish is that our community members will step up to the challenge and make MAJET even better. I have a vision for the future of MAJET, that it will continue to be the strong community that it is, that its resources and support will continue to grow, and that we will all continue to be a family even after we’ve gone on to our next adventures. That’s my dream for the future of MAJET. That’s my dream, but, ultimately, whatever happens is out of my hands. What will the future of MAJET look like? That’s up to you. On Monday, a nomination form will be sent out to all Miyazaki JETs. I encourage you to take this weekend and think about what MAJET means to you. If MAJET has impacted you as much as it has impacted me, I hope you’ll give back by volunteering. If MAJET has not been as helpful to you as it was for me, I hope you’ll step up to fix the places we are lacking. If you really aren’t up for the job, but have a friend in mind who would be perfect, I hope you’ll nominate them. And if you have ideas but are lacking confidence, here I am nudging you to volunteer anyways! You never know what will happen. Now, I’m not quite done with MAJET. There’s still a few things I’d like to accomplish before I sign off. Hopefully some of them will help make things easier for future MAJET groups, relieve some of the burden. But for now, just take the weekend and think it over. Hyuna Potter and the Amazing Race! Now Recruiting for MAJET 2018!